As we age, especially if we have had children, our metabolism slows down and our bodies change. We can embrace this change, but we have grown up in a culture that values slenderness. I am all about accepting our bodies, but I am also about living healthy, exercising, and eating well. If you know me, you would think it silly that I would even try a natural weight loss supplement. Weight has never been an issue for me. I was blessed in my youth with metabolism that allowed me to eat whatever I wanted with no weight gain. In fact, when I became pregnant with my first child, my midwives were concerned I would not gain enough weight and sent me to a nutritionist. I ended up gaining 55 pounds, so this was not a problem, and it all melted away over time since I breastfed. The nutritionist warned I might end up five pounds heavier in the end, but that I could use it. I still can pretty much eat what I want, but then I have an extra five pounds on my body I do not like. It goes to the mother hips! The main ingredient in green coffee extract — an antioxidant called chlorogenic acid — didn’t help obese mice shed the pounds over a 12-week period, scientists at the University of Western Australia reported in the Journal of Agricultural and Food Chemistry. Instead, the compound gave the little rodents the early symptoms of diabetes: The animals were less sensitive to insulin and had higher blood-sugar levels between meals, compared with their overweight comrades who didn’t get the antioxidant. Of course, mice aren’t people. And such experiments don’t prove that green coffee extract isn’t safe. But even in people, the evidence that the supplement melts off pounds is, well, slim. 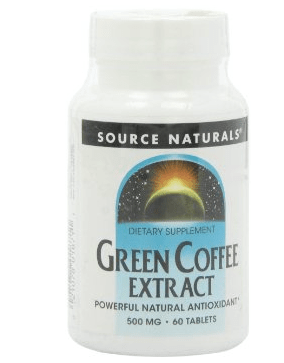 Green coffee extract is exactly what it sounds like…it is made from coffee beans that have not been roasted. Although, green coffee may not melt away pounds, it does provide energy. I have liked this little boost to my day. It is also an antioxidant, which is suppose to slow down aging. I love raspberries, and I can eat a bunch of them at one time but not 90 pounds! One product claims it does not require any diet or exercise to work. That just sounds silly. Unlike other types of fats (which are mostly long chain fats), these MCTs are rapidly metabolized, meaning they’re more easily burned as energy and less likely to be stored as fat. MCTs have also been shown to increase metabolism slightly, and help us feel fuller, faster. It’s for these reasons that coconut oil is heralded as a weight loss aid. Keep in mind, however, that just over half of the fats in coconut oil are MCTs, so we can’t assume that coconut oil has all of the same properties as pure MCT oil, which has been studied extensively and is sold as a dietary supplement. There just really hasn’t been much research on coconut oil consumption in people, though a few studies have been promising. In two small studies, supplementing with two tablespoons of coconut oil daily for 6 to 12 weeks resulted in a reduction in belly fat, but there was no significant change in weight or body mass index (BMI). So it’s possible that there may be some benefit, but don’t count on coconut oil for miraculous fat loss. Coconut oil is easy enough to add to a smoothie or tastes really good in a chai tea. I faithfully consumed two tablespoons a day for about a month with no change. Then I looked at the bottle and saw how many calories one tablespoon contained (120 calories). I would rather eat those calories and feel full. The coconut oil in tea did make me feel more full than tea alone, but it was not sustaining like an apple or some nuts. This is another one of Dr. Oz’s miracle weight loss supplements. I held off the longest on trying this one, as it is not available in any stores that I could find. The garcinia I bought required you take four tablets throughout the day with a full glass of water. When reading reviews, many people say that the effects are not noticed until after 30 days. I noticed no change after 30 days. I think just drinking the full glass of water was the best benefit. A new animal study shows that the active component of oregano oil, carvacrol, can prevent diet induced obesity by modulating genes and reducing inflammation in white adipose tissue. The researchers used the well documented model of feeding a high fat diet to induce obesity. Mice not given carvacrol readily became obese. Other mice were fed 0.1 percent carvacrol as part of their diet. These mice gained significantly less weight and had lower blood levels of lipids (cholesterol and triglycerides). An analysis of gene function showed that genes leading to the formation of new fat cells were suppressed. Likewise, genes in white adipose tissue immune cells that otherwise cause inflammation were restrained. I took oregano oil for several months. I didn’t get sick. That is why I kept taking it. It did nothing for me for weight loss. I do not drink this tea regularly. I feel silly drinking a tea that says “Slim Life” on the package. Caffeine can raise your metabolism. Coffee, yerba mate, and green tea can all do the trick. This may be the only supplement I thought might have done something, but then again, I hesitated to buy it again. Raspberry ketones have never been tested on humans in scientific studies.That’s right. You read that correctly. To date, there have been no human studies showing that raspberry ketones burn fat or benefit your weight loss. Now, if you are a rat, there are two studies of interest. One study gave male rats raspberry ketones, which resulted in an increased secretion of adiponectin, a hormone secreted by fat cells that helps the body break down fat. The result was less fat on the rat. In another rat study, the rodents were fed a high-fat diet with differing amounts of raspberry ketones. The rats that received more raspberry ketones burned more body fat and gained less fat tissue. A third study exposed fat cells in a test tube to raspberry ketones and found that the raspberry ketones stimulated the breakdown of the fat cells. I’ll agree that this is all very interesting research, but it is also considered very preliminaryresearch. Before making health and weight-loss claims about a supplement, don’t you think we should have some double-blind studies involving real humans showing actual results with specific amounts of the supplement and assuring safety for the person? As a registered dietitian, I do. Eat more whole foods. Don’t buy junk food, even if it is organic. If it is not in your home, you will not eat it. Make exercise a priority. Establish a routine. Stick to it. A friend once told me it takes 90 days of everyday practice before something does become routine. Make the commitment. Be healthy. Be wise. I lost five pounds in Italy. Yea, in Italy. I walked a lot. I drank a lot. I ate pasta. I can’t figure it out other than I didn’t eat sugar. I gained it back when I got home. Having only whole foods in the home and exercise is key! These supplements do little. There is no miracle pill. Don’t waste your money. You are not a rodent. It’s articles like this that should push people to start leading a healthy life style by eating right and following a good fitness program! I followed a book (Yes a book!) that helped me turn to a healthy life style. It’s a decent book and should really be looked into. very nicely framed points about healthy eating. l weight loss and being fit over time is more about eating right and being conscious about your body. Although supplements help healthy routine should be your main focus. I believe in a few supplements. and disagree with her in certain aspects ..overall a good article. Great article! Supplements do not provide many benefits like their manufacturers market. The key thing is finding a diet and exercise program that you can be consistent with. Supplements will never give you any desirable results. Check out my website for some programs that easy, simple, and effective! Yup, the only way to lose weight is by working hard, eat healthy and exercise regularly. It isn’t as simple as taking a supplement.